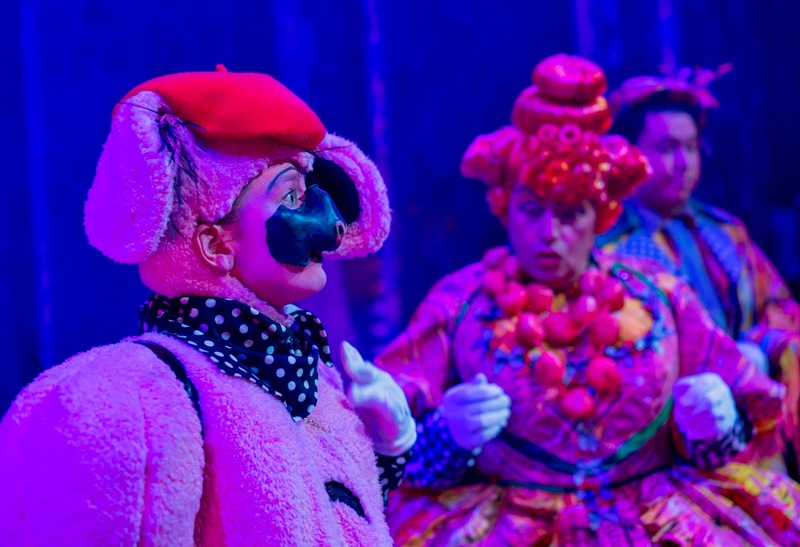 Written and directed by Ray Spencer and Graeme Thompson, 'The Little Panto with the Big Heart' is award-winning (the panto's fashion and set designer Paul Shriek won Best Costume Design in The Great British Pantomime Awards 2018) and always lots of fun for the whole family. The Customs House has it's own car park which is free of charge and buses stop right outside of the building. It's just a tiny stroll from the Nexus ferry terminal and the Metro Station is an easy 5-10 minute stroll. You can travel free via Metro for two hours prior to and after the show too, simply show the inspector your theatre ticket. I'm not a regular visitor to South Tyneside but readers who are have recommended the Green Room Bistro (which is inside of the Custom's House), Colmans/ Colmans Seafood Temple, Bravi, Turkuisine and Aneesas Buffet. 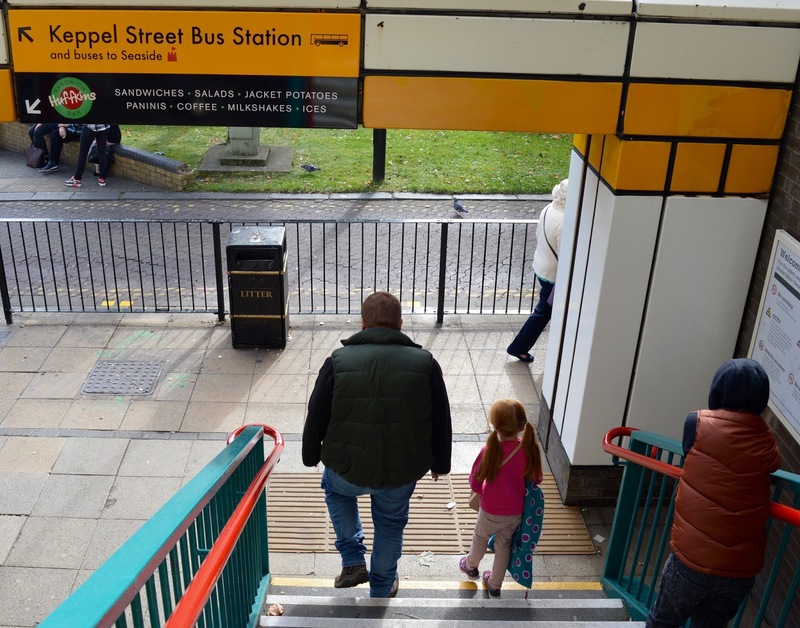 All are within easy walking distance of the Customs House and welcome children and families. 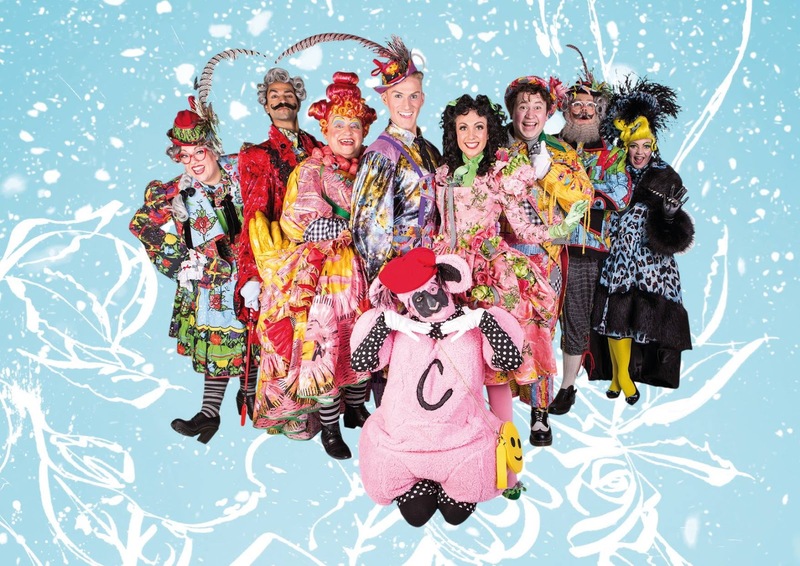 I have a huge soft spot for the Customs House Panto. 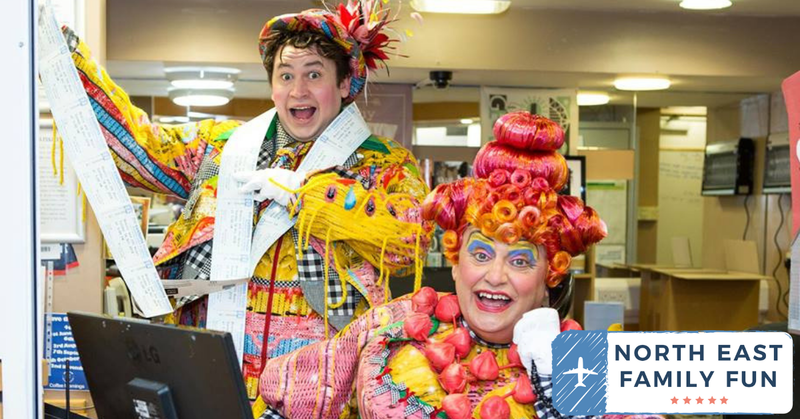 I get to watch a lot of pantos around the North East and I can hand on heart say that the Customs House delivers year after year. It's always a good all-rounder with lots of laughs for both the kids and grown-ups and this year was no different. 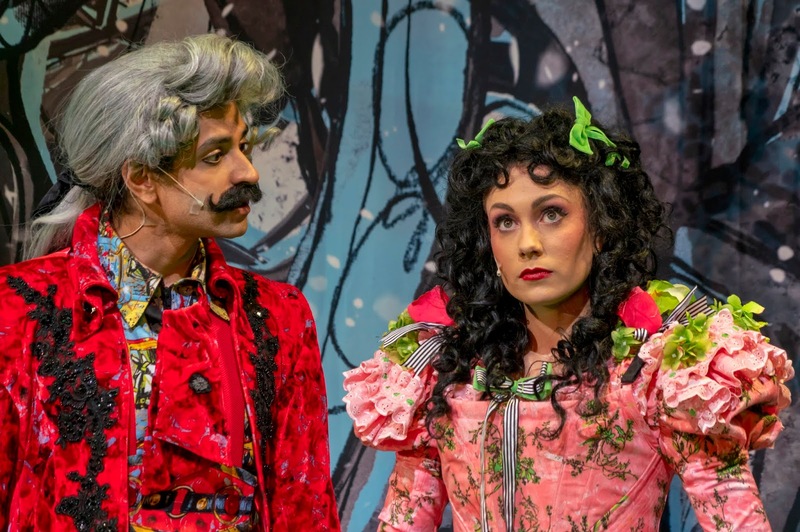 The Customs House Panto is perfect for those families looking for a proper traditional Geordie panto, there's lots (and lots) of innuendo and jokes which are just for the grown-ups, plenty of boo-ing, cheering and singing. At one point it felt as if we were watching Sing-a-long 'The Greatest Showman' with the whole audience singing along. 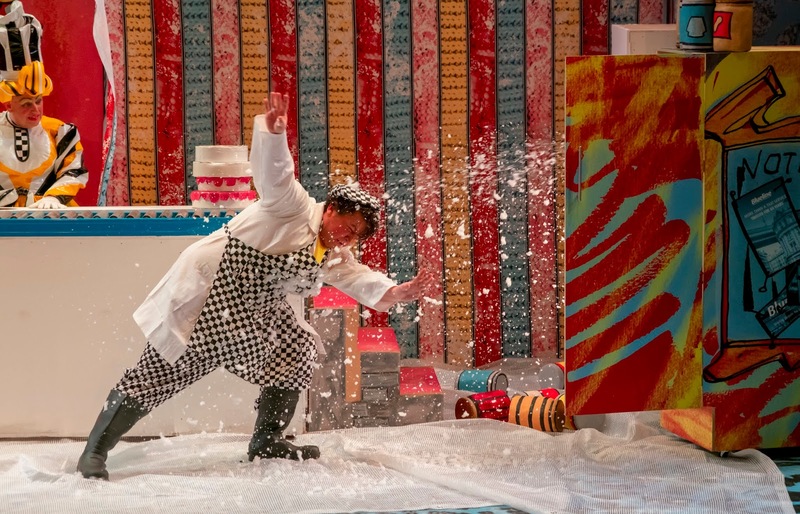 You can expect messy custard scenes, Christmas songs and more. The only element I would say is missing was audience participation which seemed to be lacking this year - nobody was picked on, there were no kids invited up on stage and no water/sweets thrown into the audience. There were quite a few stand out performances so I'm not sure where to start but Cutlet the Signing Sheep sounds like a great place to begin (played by Charlie Raine), I wasn't too much of a fan of last year's sidekick Puddles the Dog and much preferred this year. Cutlet was sassy, a great dancer and a real hit with the kids. I loved the inclusion of signing into the show too and think this is a fantastic step in the right direction. I am always a huge fan of Steve Lee Hamilton and his portrayal of the Beast/Prince was perfect. He always really manages to get into character 100% and at times I forgot there was a man behind the costume and thought I was watching a full on Minotaur. 'Never Enough' was a real stand-out moment for me. Superb! We're lucky to have such local talent on our stages. The leading lady Annie Guy as Beauty had such a beautiful singing voice and really fit into the role well too and Afnan Iftikhar as Gaviscon really delivered on every note too. 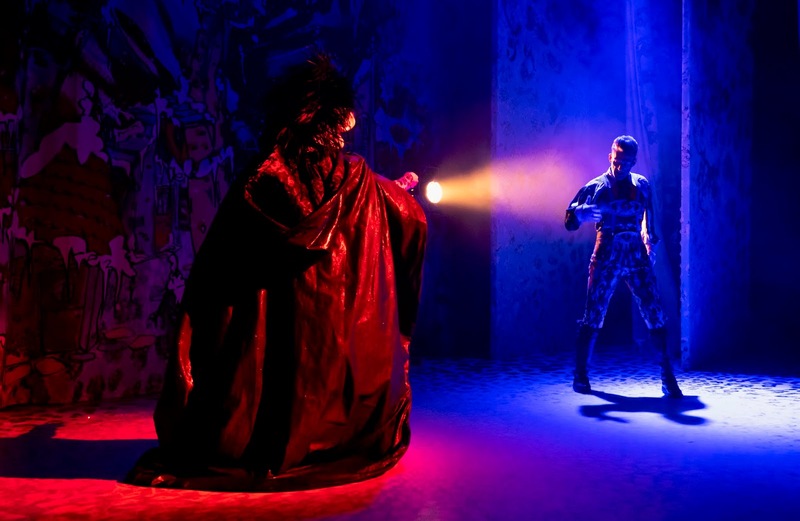 If I was going to make any criticism about this year's panto it's that it's very song-heavy. There's a really good mix of modern and old but I reckon we got through around 20 songs in total. I think they could easily cut 1/3 off this number as some of the kids in the audience did end up a little bored, especially during songs they didn't know. However, if you love The Greatest Showman (and if you don't, we can't be friends), you're going to love the musical numbers with 4/5 songs from the hit musical starring. The supporting cast of Eleanor Chaganis, Georgia Nicholson and Gareth Hunter were all fantastic too and I'd have loved to have seen more of them on stage. Their comedy timing was always spot on and they just all seemed completely at ease on the stage. Eleanor and Georgia are cracking singers too. 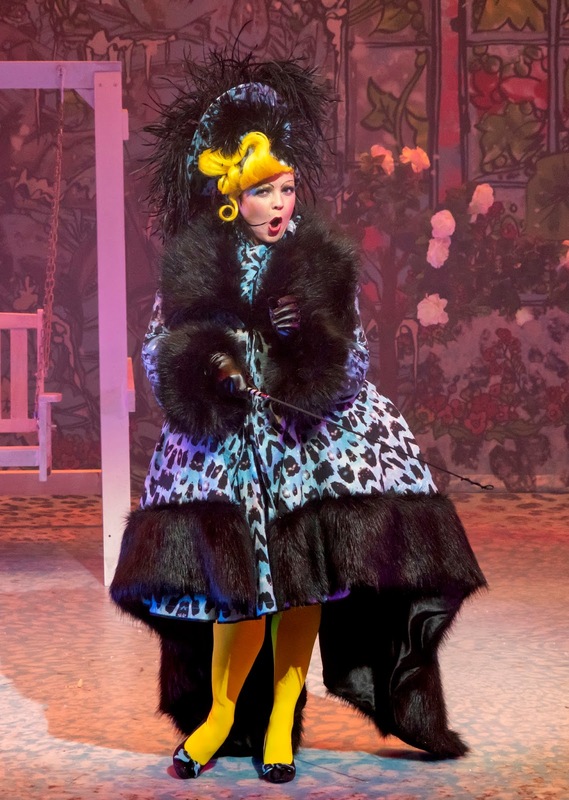 We all know the main reason most people return to this panto year after year is because of Ray Spencer as Dame Bella Ballcock and David John Hopper as Arbuthnot. 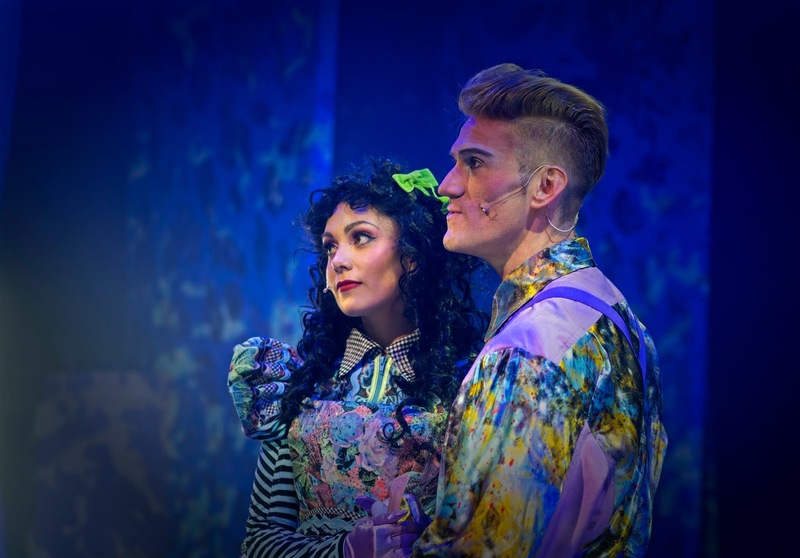 These two are possibly the best double act on stage in the whole of the North East. They've worked together for a while now and this kind of relationship means they know how to push each other's buttons on stage and there are several moments where they're both trying desperately not to laugh which are always some of the best moments of any panto I think. 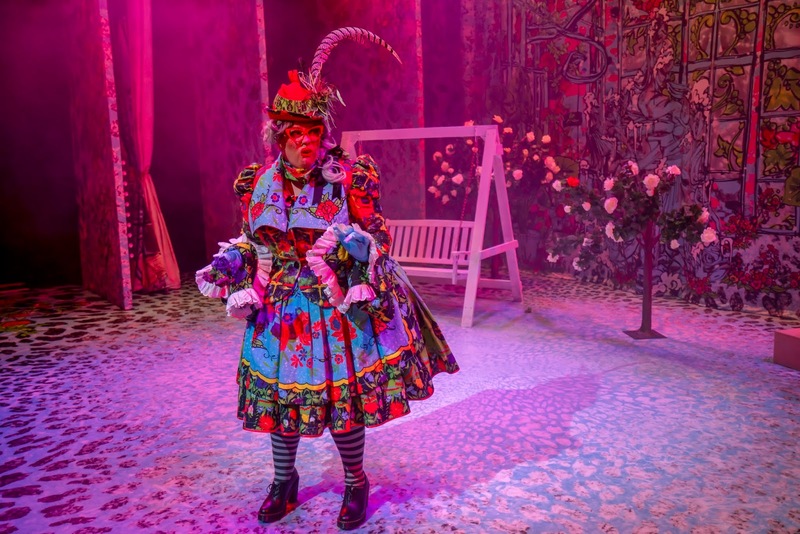 Designer Paul Shriek won a national award this year for his work with the Customs House Panto and their fabulous costumes and I think their outfits have topped last year in this year's show. They're really fantastic and add to the quality performance. A special mention to the dancers too who never put a foot wrong. I'd recommend this year's panto to those families looking for something traditional like they may have watched in the old days, there's lots of innuendo so don't go to this one if you're easily offended and it's definitely the panto to choose if you're a fan of The Greatest Showman. My kids had a great time and especially loved Cutlet and Arbuthnot but at 3 hours long, this is a LONG panto so I'd perhaps not recommend this one particuarly for under 5s. 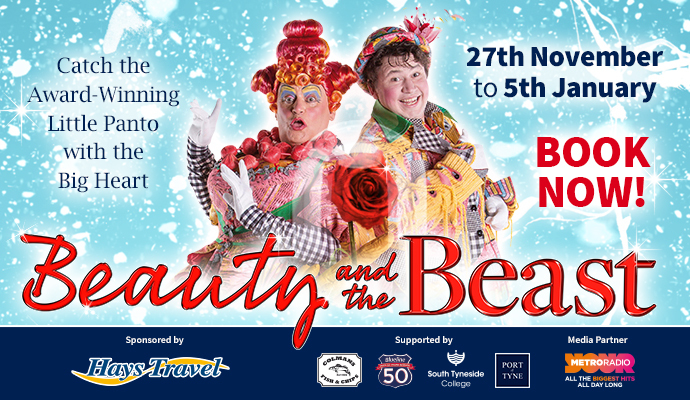 The Customs House panto is always a good one to take the grandparents along to - they'll love it. Tickets are available from just £9.99 which is fantastic value and not much more than a cinema ticket. With a festive sing-a-long at the end of the show and a real community feel at the heart of the show, you'll definitely leave feeling festive and ready for Christmas. There are flashing unicorns, flashing minecraft swords, flashing rings and foam hands for sale in the foyer and you can take drinks into the theatre from the bar with a plastic cup. I didn't spot any booster seats for kids but the tiered seating meant with a little bit of shuffling around, we could all see just fine. 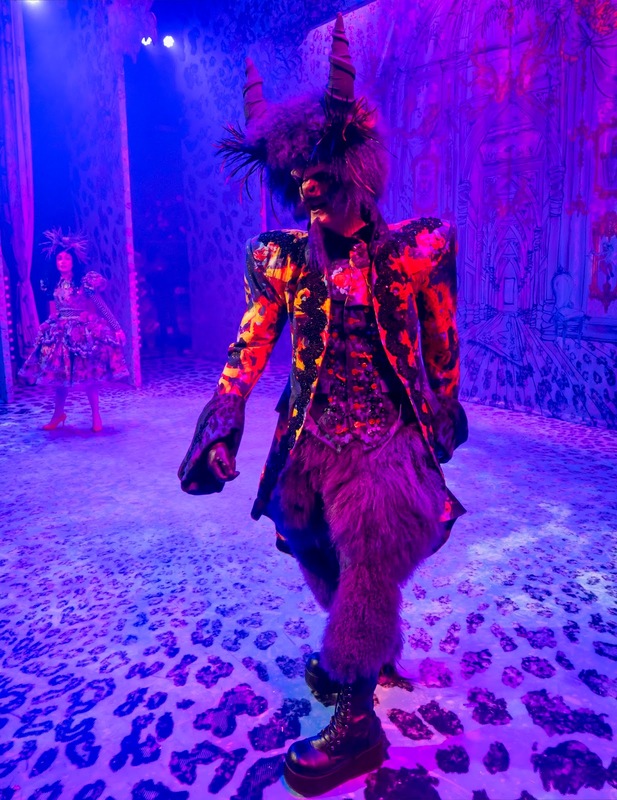 Beauty and the Beast continues until 5 January 2019. We've been coming to this panto for a good few years new between Xmas and new year and you're right it's great for the grandparents. Ray & Arbutnot are my faves like!